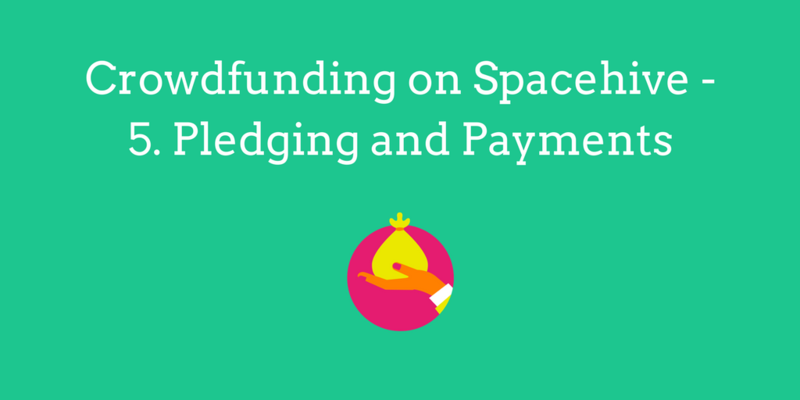 Spacehive use two well known and trusted payment platforms, PayPal and GoCardless, to take pledges from the crowd and send the money to your project’s delivery manager. A pledge is a pre-approved, one-off direct debit. Only when you hit your target will we collect the pledges and send the money across to you. This gives confidence to backers that they will only get charged if the project gets fully funded and will be delivered. Before you can submit for verification (and start crowdfunding) you need to tell us how you’d like to receive the money you raise. In the Project Delivery Managers tab of your project’s Dashboard you need to select if you will be the Project Delivery Manager, or if somebody else will be the one legally responsible for delivering the project. The Project Delivery Manager can choose to have the money paid into their bank account (GoCardless) and/or paid to them via PayPal. You can always change your payment options in the Payment Details of your Spacehive Settings. If you choose to be paid into your bank account you will be directed to the GoCardless website to create an account with them. If you choose PayPal you will need to enter your PayPal email address. Both GoCardless and PayPal require that you verify your accounts. Your accounts need to be verified by the time your Spacehive campaign ends so that we can send you the funds. To check whether your account has been verified or not just log in to GoCardless via their website, gocardless.com, using the log in details used to create the account. Once inside their should be three main options in your dashboard, ‘Verify your Company’ > ‘Connect a bank account’ > ‘Upload your logo’. If your account has been verified there should be ticks next to both ‘Verify your Company’ and ‘Connect a bank account‘. Uploading a logo is an optional extra. If there aren’t ticks next to either section then simply click the box, and follow the steps to completion. Log into PayPal and click the ‘Add bank account’ option in the dashboard. PayPal will then make a deposit of £0.01 into the designated bank account with a 4 digit confirmation code in the reference. Check the bank statement online for the transaction, enter this code when prompted in the same ‘Add bank account’ section, and the account should be enabled to accept payments. Top tip: The more options you have for people to pledge, the easier it is for them to back your campaign. Spacehive have an all-or-nothing model. This means that you have to hit your target if you are to receive the money. You might notice your target changing as your campaign progresses. This happens because of the transaction fees, which Spacehive estimate at the start of your campaign and add onto your target so that backers don’t have to pay more than they choose and so you don’t lose out on that money for your project. Spacehive over-estimate your fees by assuming two things: 1) that you will get more PayPal pledges than you will GoCardless pledges (PayPal at 3.4% + 20p per pledge and GoCardless at 0.5%), and 2) that you will get multiple small pledges as opposed to a few big pledges. As your campaign progresses the likelihood is that you will not have the above two scenarios. Rather you will see your funding target going down with each significantly large pledge or if you’re getting more GoCardless pledges. With the final pledge that takes you over the line, your campaign page will shut down and no more pledges will be allowed on. If you decide to continue crowdfunding then you need to set up a second project page roughly a fortnight before you hit your target, so that you can be verified in time. Spacehive will make sure that your second project page has the same URL as your first project page.